Kumluca is a town and district of Antalya Province on the Mediterranean coast of Turkey, part of the Turkish Riviera. Kumluca is located 90 km (56 mil) west of the city of Antalya, on the Teke Peninsula, (between the bays of Antalya and Fethiye). 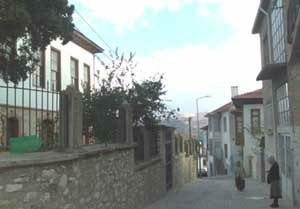 Its neighbour towns are Korkuteli, Elmalı, Finike, Kemer and Antalya. The town of Kumluca, formerly the village of Sarıkavak, is named for its sandy soil (kum meaning sand in Turkish}, good for growing watermelons. The centre of the district is a plain pointing north from the Mediterranean coast and surrounded by mountains on three sides. The north of the district is hills and mountain. Summers are hot and dry, winters cool and wet as you would expect in a Mediterranean district; it never snows on the coast but there is snow on the mountains. In this climate fruit and vegetables can be grown under glass all year round and this is the mainstay of the local economy, along with orange trees, and Kumluca is a wealthy district. There are a number of important historical sites in the district of Kumluca including Olympos, Korydalla, Rhodiapolis, Idebessos and Gagai; of these Olympos is the largest and attracts the most visitors. There is 30 km (19 mi) of coast with many hotels and restaurants between the villages of Adrasan and Olympos, and holiday villages near the town of Mavikent. West of Mavikent there is less development but taken as a whole Kumluca is one of the fastest growing local economies in Turkey.